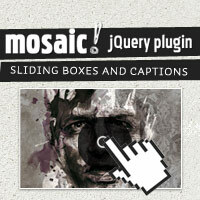 The most popular tutorial on Build Internet is now a jQuery plugin. Welcome aboard, Mosaic. Supersized just got rewritten from the ground up. It’s faster, with more options, animations, and added Flickr support. 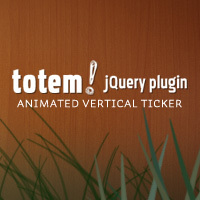 Totem is our latest jQuery plugin release. It makes animated tickers easy. Supersized has been one of the most popular posts on Build Internet since the original came out in February 2009. We thought it was time for an update. Today’s guest post demonstrates how to include charts of XML data on your site using the FusionCharts plugin. In this tutorial you’ll learn how to increase pageviews by adding thumbnails to related posts using the popular YARPP plugin and WordPress custom fields. 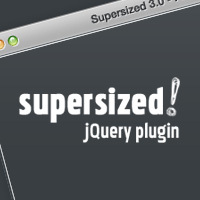 Supersized 2.0 is an update of the version 1.0 jQuery plugin that automatically sizes (background) images to fit the browser and run them as a slideshow. To top it all off – there are now transitions and navigation controls. 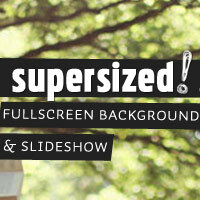 Supersized is a jQuery plugin that automatically sizes (background) images to the size of the browser and runs them as a slideshow. It is lightweight and plays nice with all browsers.